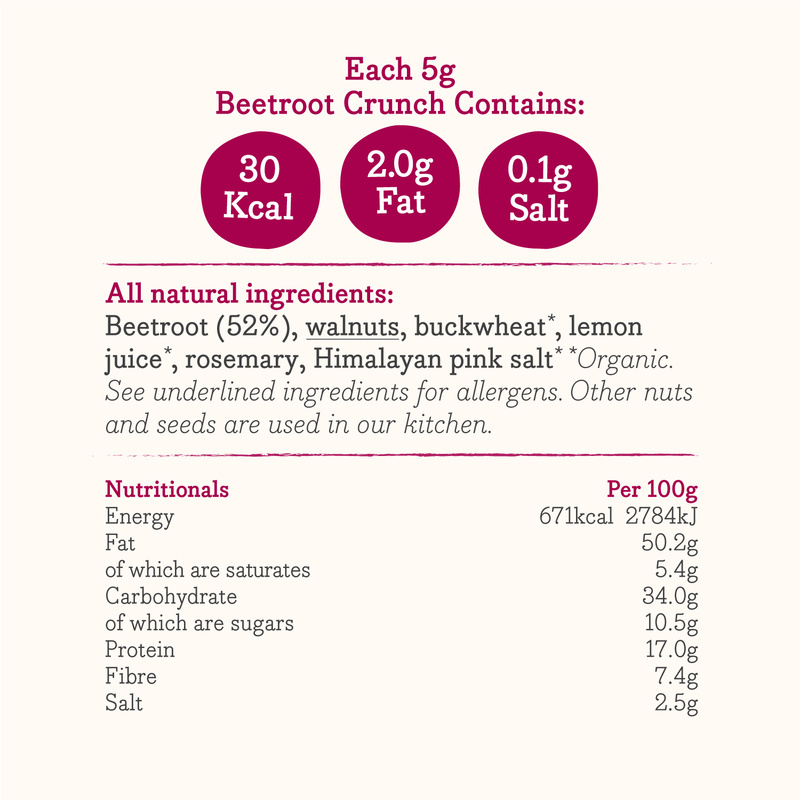 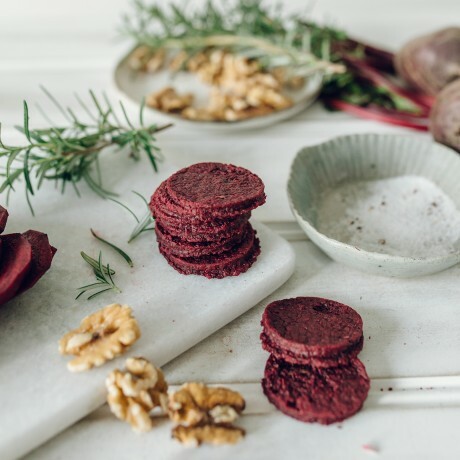 These Beetroot Crunch are new to our range - a delicious, gluten and dairy free savoury snack packed with farm fresh beetroot and walnuts with a hint of rosemary. 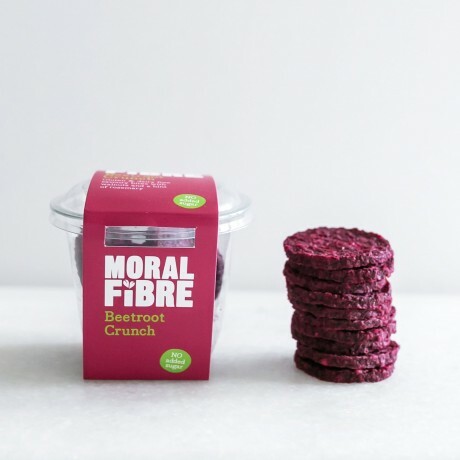 All our hand-made bites and balls are suitable for vegans, 100% natural ingredients, high in fibre and protein, with no added sugar, preservatives or flavourings. 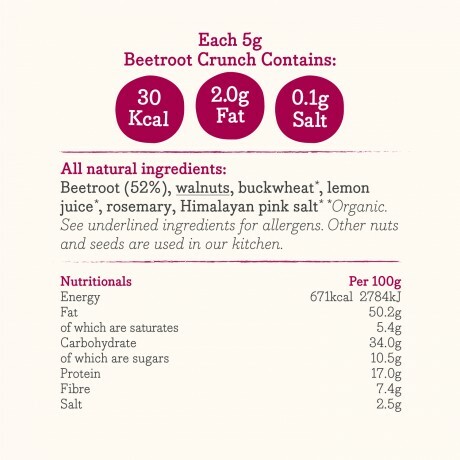 Beetroot, walnuts, lemon juice, buckwheat, rosemary Himalayan pink salt.